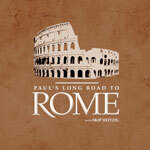 Skip Heitzig teaches through a series of messages on the life of Paul. Paul the Apostle stands out as one of history's greatest figures, towering above most everyone else, with the exception of his own Master, the Lord Jesus Christ. We'll take a peek into his unique background - a mix of both Jewish and Greco-Roman nurturing. Let's see how God used this distinctive individual as one of His finest tools.